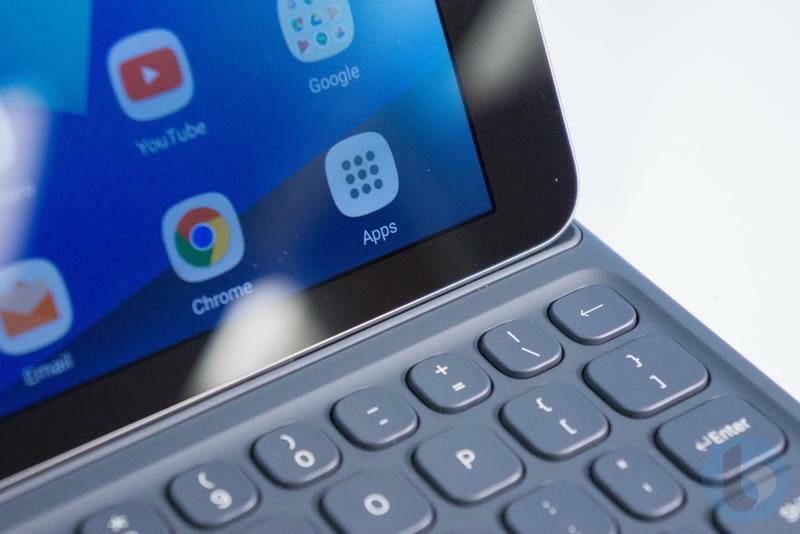 When the Galaxy Tab S4 is official, it could have a feature that not many phones even have yet. 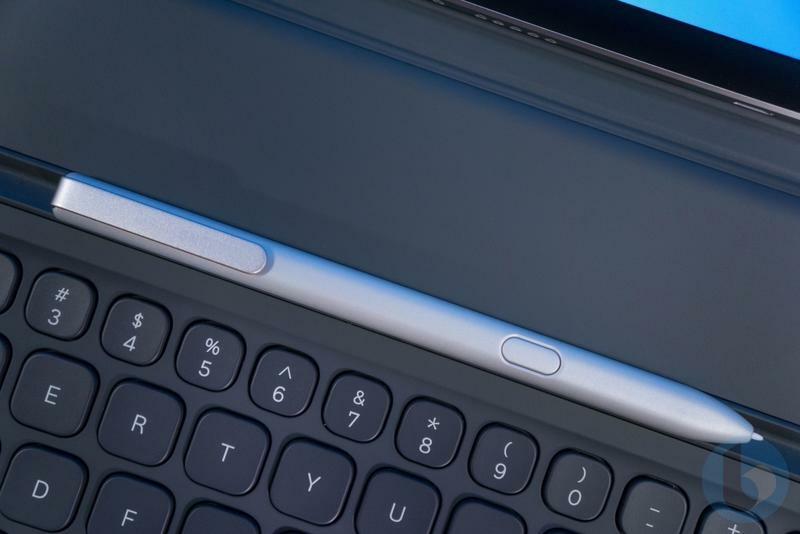 The latest high-end tablet from Samsung might ship with an in-display fingerprint scanner, according to a leaked press render obtained by Android Headlines. 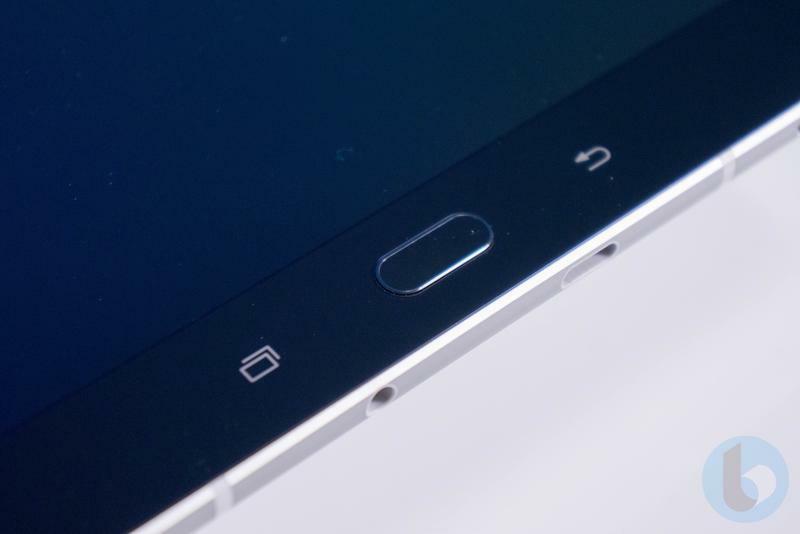 Because of the slimmed-down bezels, there’s no easy location for a traditional fingerprint scanner. 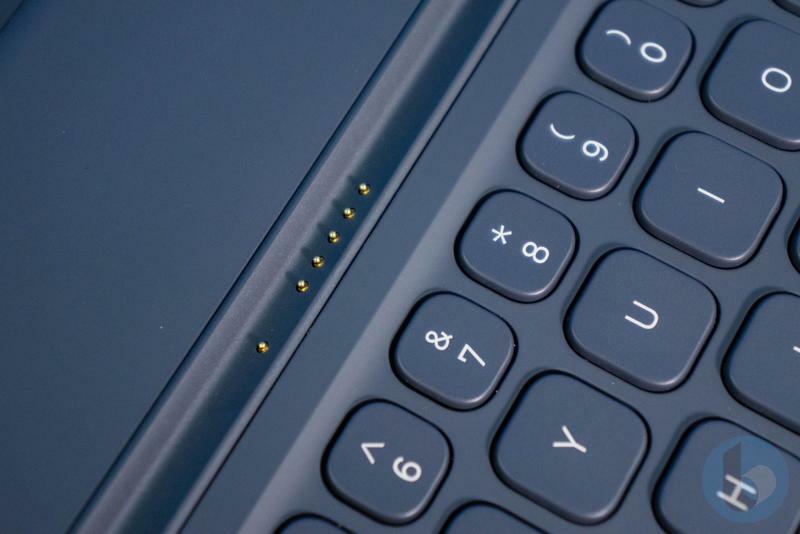 And the tablet shown in the leak doesn’t have any visible alternative. 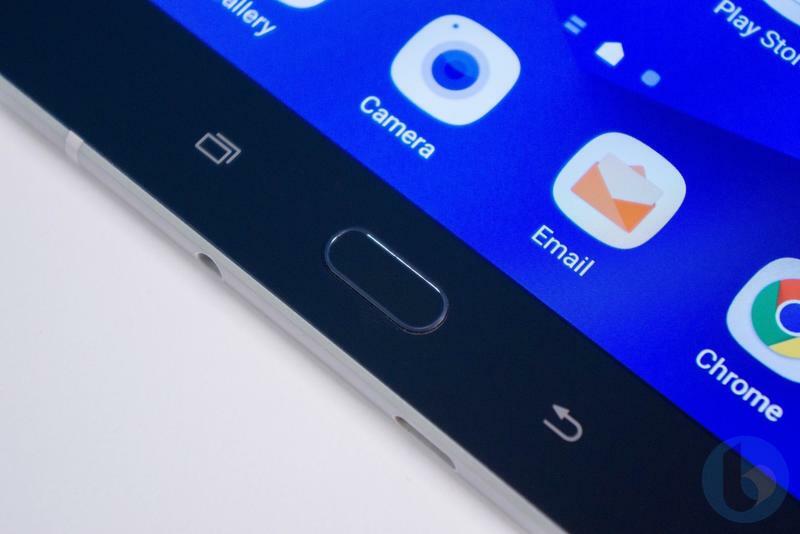 So we have to assume there’s an in-display fingerprint scanner or Samsung won’t use any biometric authentication technology at all. 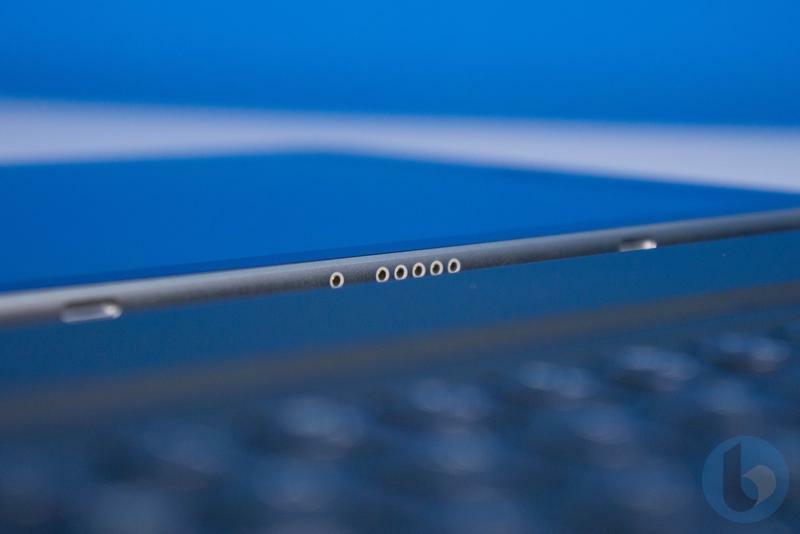 You’re not going to see a physical home button, either. 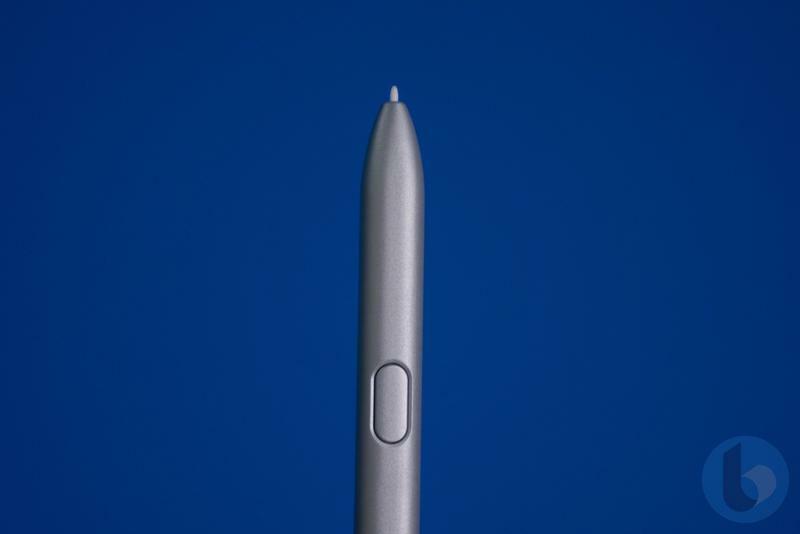 That seems to have been dropped as Samsung adopts on-screen navigation buttons for more of its products. Samsung also seems like it’ll switch from 4:3 to 16:10 for the aspect ratio but we’re not exactly sure why. 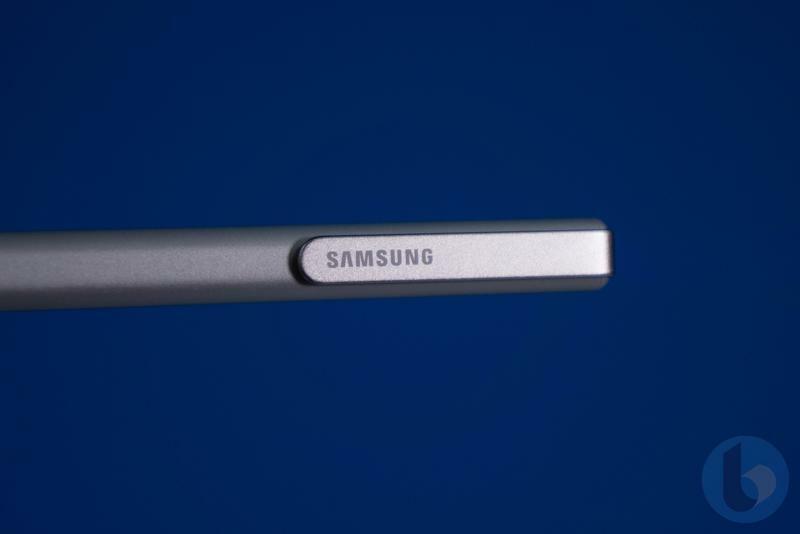 On the backside, Samsung is slapping its own logo next to a “Tuned by AKG” label. The audio brand, which the South Korean conglomerate purchased in 2017, has been leveraged for multiple Galaxy-branded phones and tablets. The specifications should be decent. 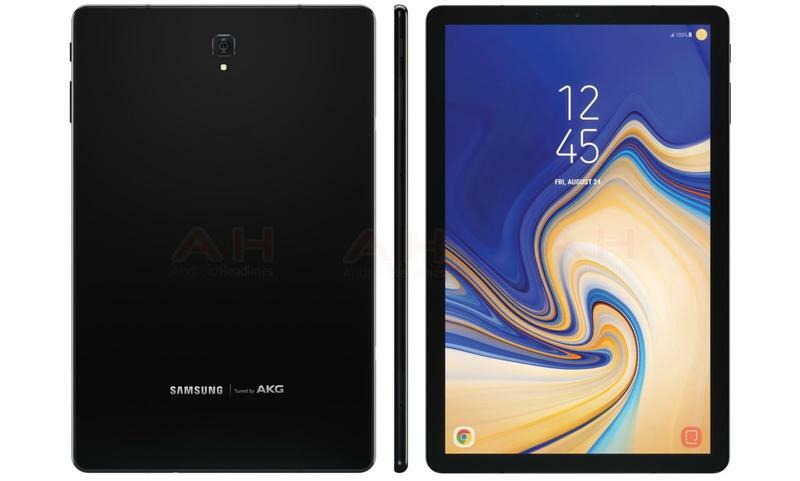 Multiple reports suggest the Galaxy Tab S4 will have a 10.5-inch display, Qualcomm’s Snapdragon 835, 4GB of memory, 64GB of storage, 13MP and 8MP cameras, a 7300mAh battery, and Android 8.1 Oreo. There’s chatter it’ll work with the DeX docking station, but that doesn’t feel too likely. 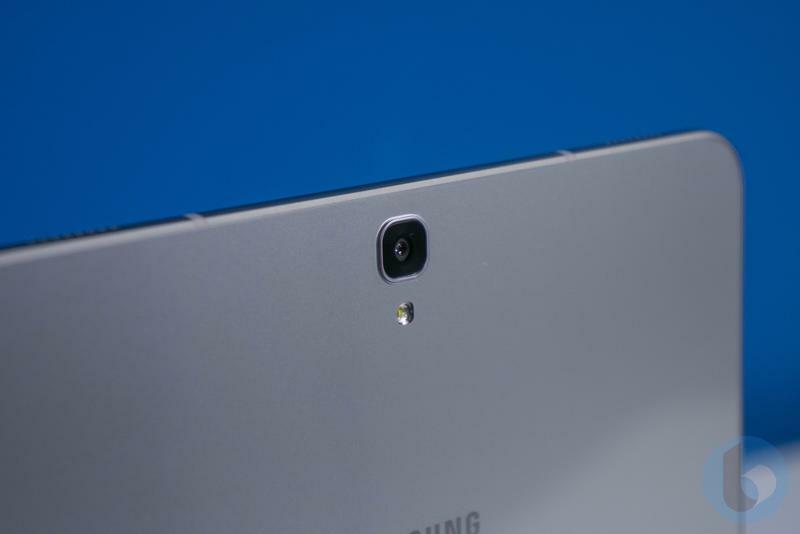 In the end, the fingerprint scanner on the Galaxy Tab S4 could be on the side of the device. 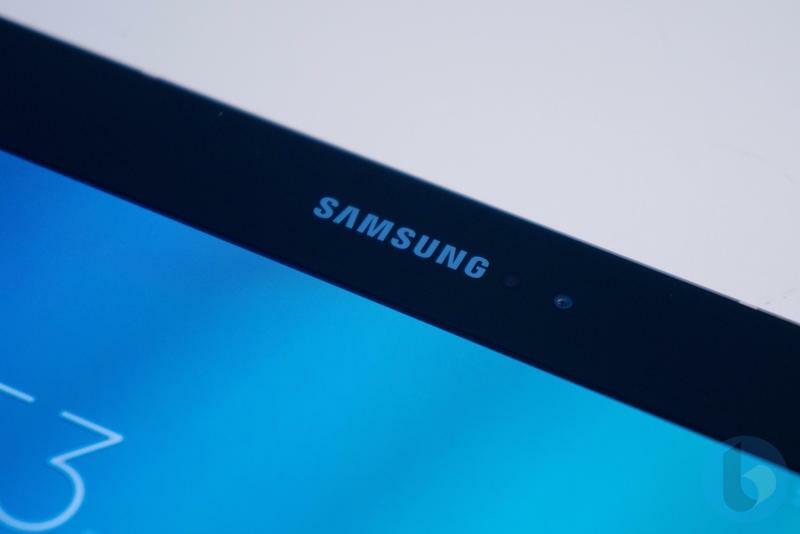 We’ll just have to see what Samsung’s decision is when the tablet is announced. 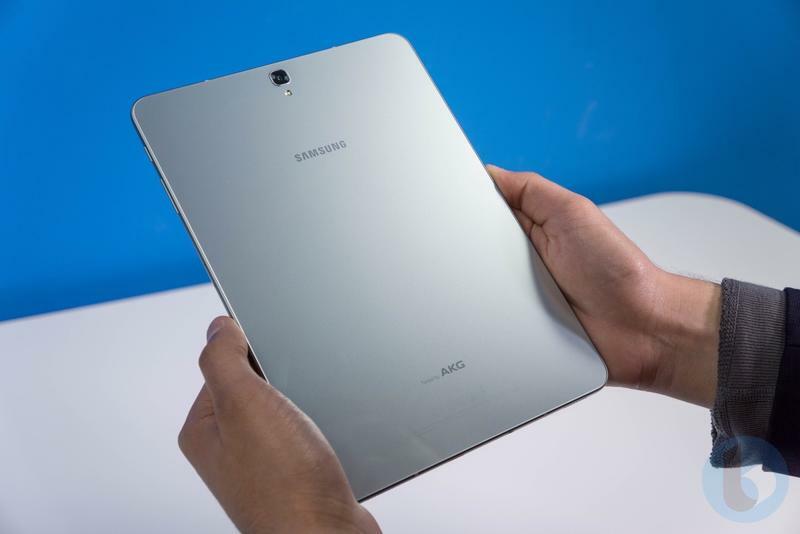 The rumors involving the tablet’s release date are pretty split. 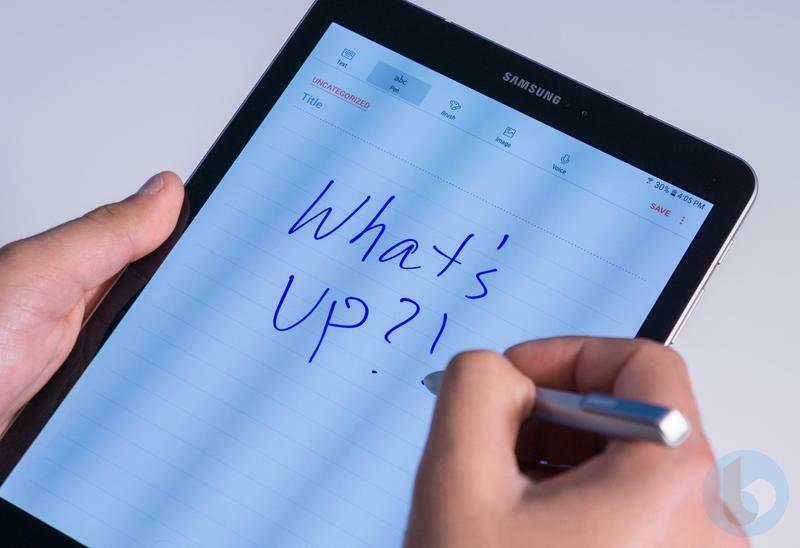 Samsung could introduce it alongside the Galaxy Note 9 on August 9, but some are saying the Galaxy Tab S4 will make its global debut at IFA 2018 a few weeks after that. The latter seems more likely given the fact that Samsung usually announces new Galaxy Note devices on their own. 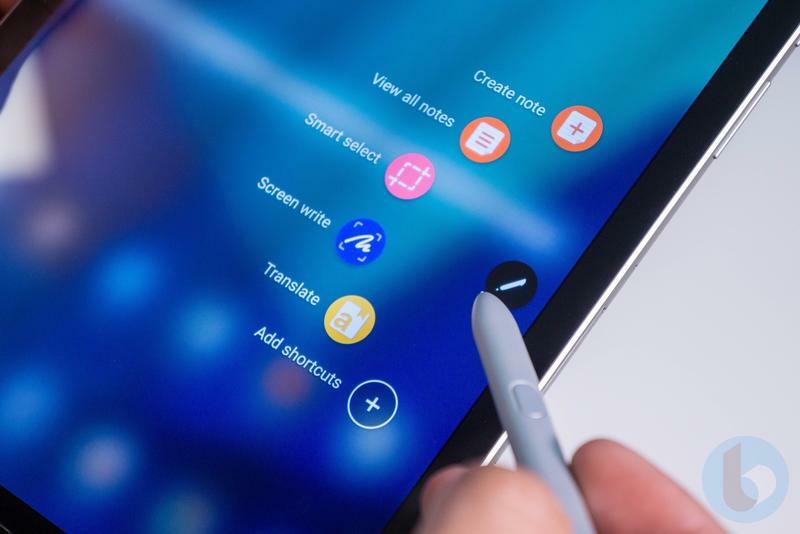 If the Galaxy Tab S4 is brought to the Berlin-based trade show, it could be announced at the same time as the Gear S4. The new smartwatch is expected to hit the market just before summer ends. 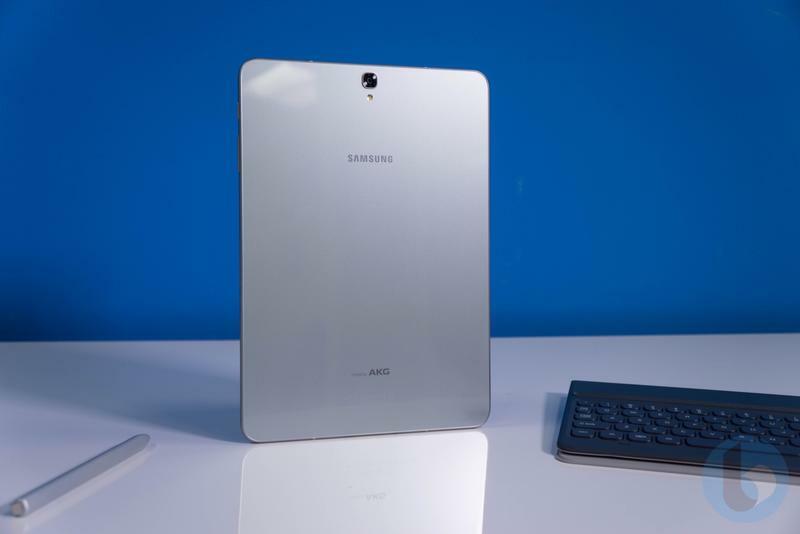 With a new phone, tablet, and smartwatch, Samsung would be heading into the fall and winter with a strong lineup.